Leonard William Renken, 91, of Springfield, formerly of Litchfield, passed away Friday evening, August 17,2018 at 10:45 p.m. at Heritage Health and Senior Care Center in Springfield. Born June 27, 1927 in Auburn, IL., a son of John H. and Wilhelmina (Struckemeyer) Renken. He was a Graduate of Auburn High School Class of 1945. Mr. Renken was a veteran of the Korean War, serving in the U.S. Army. After returning home Mr. Renken was employed by Girard Elevator Co., He moved his family to Litchfield where they would spend 48 years before moving to Springfield. 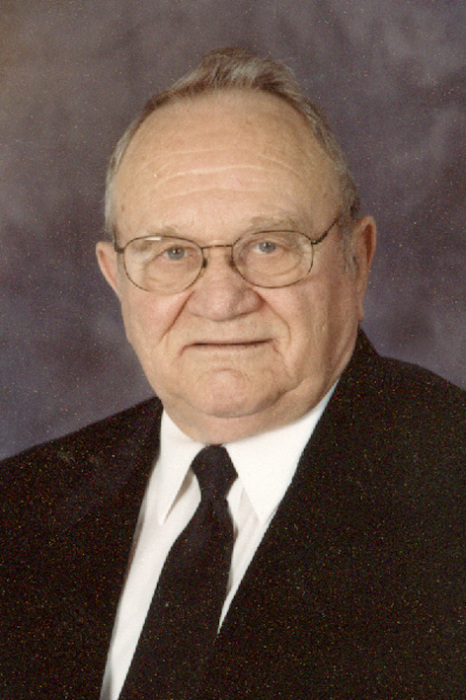 Mr. Renken was a contractor for K-Mar Pole Barn Structures for several years and for Pioneer Seed Co., Litchfield Plant until his retirement in 1986. He then obtained his realtors license and enjoyed selling real estate. He was employed by Holzinger’s, Coldwell Banker and Century 21 Simpson Realty. Mr. Renken was a member of Our Savior’s Lutheran Church in Springfield. He was a founding member of Trinity Lutheran Church in Auburn and a faithful member of Zion Lutheran Church in Litchfield where he held several positions while living in Litchfield. Away from his service to his church, Mr. Renken enjoyed woodworking. Mr. Renken is preceded in death by a daughter, Janet; 1 brother, Carl Renken; 1 sister, Verna Halstein.